Laser hair removal is a medical procedure that uses a laser an intense, pulsating beam of light to remove unwanted hair. Hirsutism is excessive growth of hair in women, but in a male pattern such as the beard, mustache or lower abdomen and may be due to hormonal problems, medications, tumors or heredity. 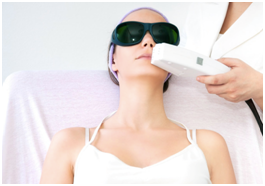 Laser hair removal is used to remove unwanted hair. Common treatment locations include legs, armpits, upper lip, chin and bikini line. However, it's possible to treat unwanted hair in nearly any area except the eyelid or surrounding area. Laser hair removal isn't generally effective for white, gray, red or blond hair although treatment options for lighter hair continue to be investigated. 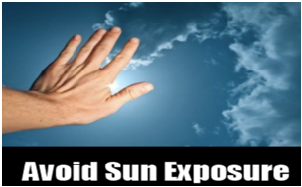 Stay out of the sun. A tan increases the risk of side effects, such as skin lightening. If you have a tan either from sun exposure or sunless tanning products wait until the tan fades completely before undergoing laser hair removal. Some doctors recommend staying out of the sun for up to six weeks before laser hair removal. You might notice redness and swelling for the first few hours after laser hair removal. To reduce any discomfort, apply ice to the treated area. Your doctor might also suggest an aloe gel or other type of cream or lotion, as well as over-the-counter pain relievers. If you have a skin reaction immediately after laser hair removal, the doctor might apply a steroid cream to the affected area. 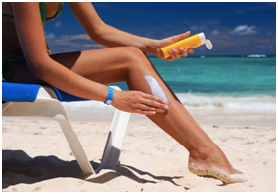 After laser hair removal, avoid sun exposure both natural sunlight and tanning beds. When your skin has healed, use sunscreen whenever you're in the sun. Results of laser hair removal vary greatly from person to person. Multiple treatments can prolong the duration of hair loss up to years in some cases but hair regrowth is still possible. For best results, you might need four to six treatments spaced a number of weeks apart. Additional periodic maintenance treatments perhaps once every six to 12 months might be needed as well. Laser hair removal doesn't guarantee permanent hair removal. Some hair could be resistant to the laser treatment or grow again after treatment although the new hair growth might be finer and lighter in color. Rarely, laser hair removal can cause blistering, crusting, scarring or other changes in skin texture. 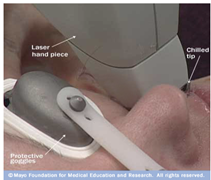 Laser hair removal isn't recommended for the eyelid or surrounding area, due to the possibility of severe eye injury. Multiple treatments can prolong the duration of hair loss up to years in some cases but hair regrowth is still possible. For best results, you might need four to six treatments spaced a number of weeks apart. Additional periodic maintenance treatments perhaps once every six to 12 months might be needed as well. If you're interested in laser hair removal, choose a doctor who's board certified in a specialty such as dermatology or cosmetic surgery and has experience with laser hair removal. If a physician's assistant or licensed nurse will do the procedure, make sure a doctor supervises and is available on-site during the treatments. Be cautious about spas, salons or other facilities that allow non medical personnel to do laser hair removal. Treatments can be repeated every four to eight weeks.